The world is getting warmer and the price of oil continues to rise. Fortunately, there are several different important methods and innovative resources that are now being taken advantage of that are helping to address these very important issues. Among the top things that we are doing to address these important issues is biofuel. However, as the different types of biofuels that are now in production and development are still relatively new to the market, there is still a good degree of debate as to the overall efficiency, effectiveness and safety of biofuels. Keep reading for an overview on the advantages and disadvantages of biofuels. First, we will start with the immense advantages of the different types of biofuels that are available. As more and more technology for biofuels production become more widely available, the cost of producing this special type of fuel will continue to be even less expensive when compared to the steadily rising price of oil barrels. It probably will not be too long before the prices at the pump will simply make gasoline almost too expensive for lower economic classes to be able to afford it. Another huge advantage of biofuels is the source material that they are derived from. 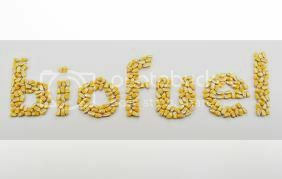 Mainly, biofuel is derived from renewable energy sources such as biomass and various crops. This has a huge and distinct advantage over fossil fuels since they are non renewable and feature a limited supply, which is more rapidly approaching complete depletion. In addition, since this special type of fuel can be produced just about anywhere, especially in areas of high crop concentrations, such as the highly agrarian economy of the United States, this means that there is an excellent chance for economic stimulus afforded through the increase in jobs that this type of fuel production will create throughout the nation. Some of the major disadvantages that are often associated with biofuel is that it features a significantly lower energy creation or output than traditional fossil fuels, gasoline and diesels. This means that there is a greater quantity of this type of fuel necessary to create the same amount of energy as that which is produced by traditional types of fuel. And while it is good that these fuels can be produced from renewable resources such as food crops, this can also have the adverse effect of raising food prices in the long run as the demand for more food crops continues to increase.